This week's podcast goes into a bit of a cult thing focusing on the hit television series, Breaking Bad. 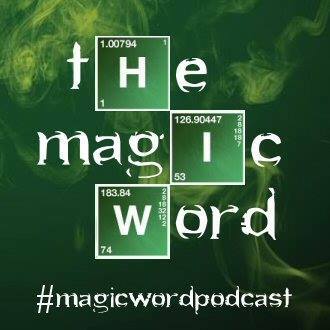 We speak with three different magicians with different backgrounds to give us their guesses of the secrets that will be revealed in the final episode on Sunday September 29, 2013. Comedy magician, Shawn McMaster, mentalist Alain Nu and street magician, Doug Conn all who are fans of this series. This television phenomenon has swept the U.S. with devoted followers as it has followed the path of a mild-mannered science teacher into a methadone cook and drug kingpin. The show has won a multitude Emmy awards over the years for television excellence including another one this past week for Best Drama. The basic premise (for those who have been under a rock) was revealed in the early episode when Walt Williams was diagnosed with terminal cancer. He went on a "ride along" with his D.E.A. brother-in-law, Hank, where Walt saw that meth dealers could make millions of dollars. Being well acquainted with science, Walt knew he could cook up meth and make some "easy money" to provide for his family after his demise. After five seasons, the show is coming to an end this Sunday night, September 29, 2013. Among the millions of viewers are many magicians in this number. And since there is much secrecy surrounding each episode with little that is ever divulged in the previews, it is much like with us as magicians who keep our secrets, too. So, this week we "geek out" with a few other magician fans who speculate on the conclusion of this series. SPOILER ALERT: If you have not yet watched all the episodes leading up to the dramatic conclusion, then you may not want to listen to this podcast until after you are up to speed. ADDITIONAL CAUTION: We also talk about the series finale of Dexter. So if you are a Dexter fan, be warned of the spoiler alert for the last episode. If you are a fan and appreciate parodies, then you'll enjoy this segment from the Jimmy Fallon TV show with guest cameos from some of the cast of Breaking Bad. Jimmy Fallon's "Breaking Bad" parody. Featuring cameos by Bryan Cranston, Bob Odenkirk, and Aaron Paul. Respect the chemistry...and ring when it's time for your next martini. September 26, 2013 by Scott Wells.